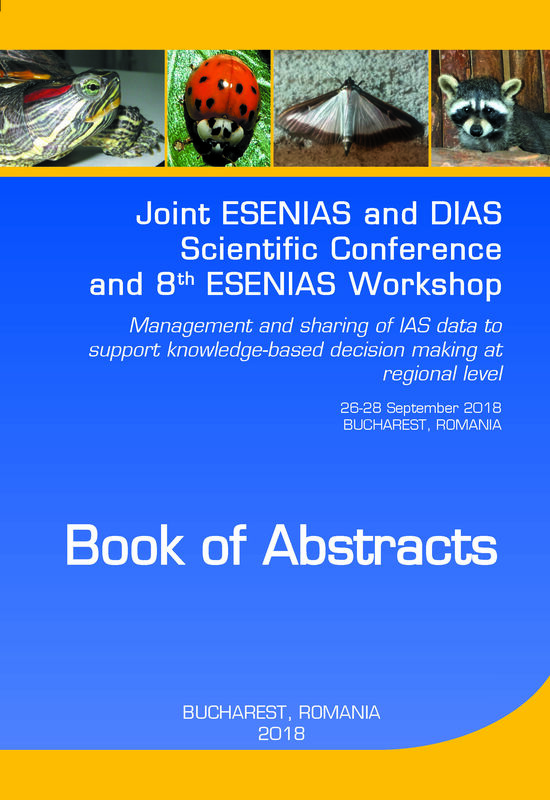 The Joint ESENIAS and DIAS Scientific Conference entitled ‘Management and sharing of IAS data to support knowledge-based decision making at regional level’ was held on 26-28 September 2018, in Bucharest, Romania. 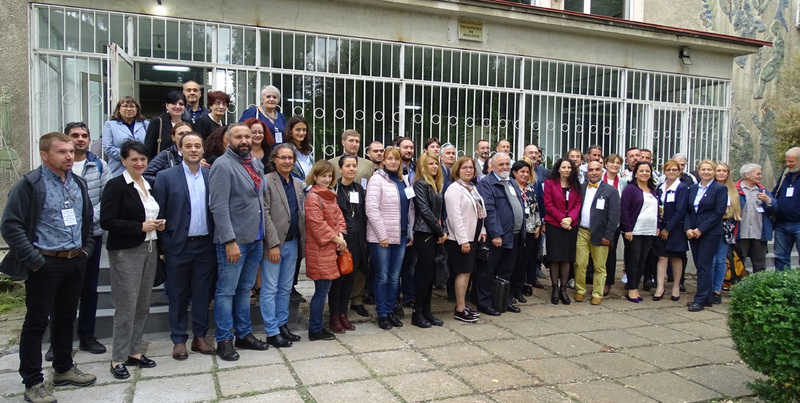 The conference was organised by the Research Institute of the University of Bucharest (UB), Faculty of Biology, and the Botanic Garden ‘Dimitrie Brandza’ of the UB, ESENIAS, and DIAS, in collaboration with the Institute of Biodiversity and Ecosystem Research, Bulgarian Academy of Sciences. The conference covered the following topics: 1) Invasive alien species (IAS) traits and trends; 2) Vectors and pathways for IAS introductions; 3) The Danube River as invasive alien species corridor; 4) Invasive alien species impact; 5) Invasive alien species prevention and management; and 6) Management and sharing of IAS data. Ninety-five participants from 11 countries (Bulgaria, Croatia, France, FYR Macedonia, Georgia, Greece, Italy, Romania, Serbia, Turkey, and Ukraine) attended the conference. A total of 83 contributions were presented and published in a Book of Abstracts. During the 8th ESENIAS Workshop, participants discussed some issues related to the collection, sharing and management of data and maintenance and update of the ESENIAS database. It was agreed on the necessity to establish ESENIAS expert groups, which will follow the structure and activities of the ESENIAS-TOOLS working groups and will assist the country representatives in collection and validation of data. The participants also agreed on the need to extend the list of ESENIAS country representatives by including representatives of governmental institutions and scientists for countries they are missing. As part of the conference programme, participants visited the Văcăreşti Nature Park in Bucharest. This is the first urban nature park in Romania, declared in 2016, and the only protected area in Bucharest. This is a wetland, formed on the site of a former hydrotechnical project on the Dâmboviţa River, commenced in 1986 and left unfinished. The area is located at four km away from the city center and spreads over a surface of 183 hectares, enclosed by a concrete dyke. It includes swampy areas with reedbeds, grassland and ponds fed by underground springs. Recent inventories have shown the presence of 331 plants, 111 insects, 12 molluscs, 6 amphibians, 5 reptiles, 7 fish, 150 birds and 13 mammal species (http://parcnaturalvacaresti.ro). Of the plants 20% are alien, some of them recognised as invasive (Elodea nuttallii, Azolla filiculoides, Ailanthus altissima, Acer negundo, Ambrosia artemisiifolia, Fraxinus pennsylvanica, Parthenocissus inserta, Elaeagnus angustifolia, etc.) (Anastasiu et al. 2017). 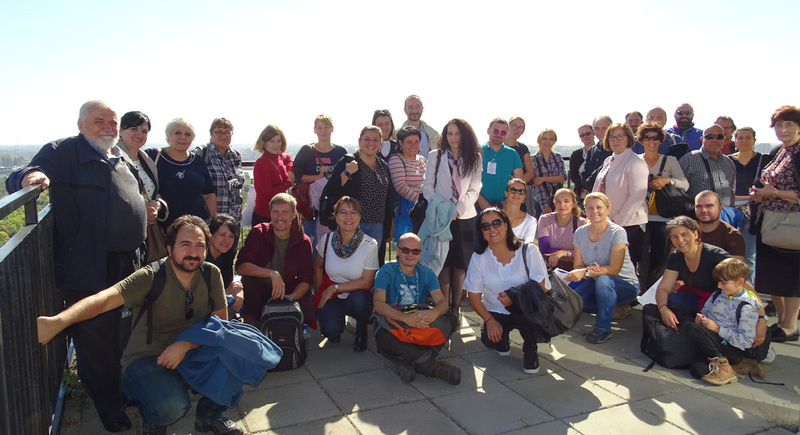 On 29th September 2018, some of the participants visited the ‘Grigore Antipa’ National Museum of Natural History. There, as part of the rich and unique collections, they have the opportunity to see the exhibition of alien species in Romania, which included specimens of over 25 animal species (insects, molluscs, crayfish, fish, birds, and mammals). The exhibition of synanthropic animals also included some alien species of interest to participants. We express our sincere appreciation and special thanks to the hosting institutions and the local organising committee chaired by Dr. Paulina Anastasiu for the support, excellent organisation, and warm hospitability!